kiwi-made preaching is an initiative of Langham Partnership New Zealand and aims to foster an indigenous community of biblical preachers in New Zealand – and resource them for that task. Something similar is happening elsewhere in the world through Langham Preaching. Paul Windsor, who guided kiwi-made preaching through the early months, is the International Director of Langham Preaching. Paul oversees a growing global team of Associate Directors, Regional Directors and Country Coordinators, who are expanding and nurturing indigenous grass roots movements of biblical preaching in more than 70 countries throughout Africa, Asia, Latin America, Middle East, &amp; Eastern Europe – and the vision is for 100 countries within a decade. If you are committed to global mission and to biblical preaching and you delight in the thought of countries around the globe benefiting from Paul’s leadership, why not consider supporting him in this strategic ministry? 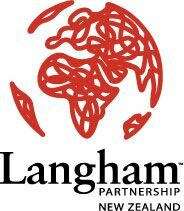 Read some of the “langham at-large” posts on this site to gain a greater sense of what the work involves. Even though Paul is an international staff member, Langham Partnership New Zealand has the goal of meeting the total costs of his ministry from money raised from within New Zealand. Please don’t forget to use your FIRST NAME, SURNAME and then ‘PAUL W’ as the reference, and also send an email to finance@ldl.org.nz with your name and address, so that we can send you your tax receipt at the end of each financial year. All gifts towards Paul’s support qualify for a partial NZ tax credit. Please don’t forget to use your FIRST NAME, SURNAME and then ‘LANG PREACH’ as the reference, and also to email finance@ldl.org.nz with your name and address, so that we can send you your tax receipt at the end of each financial year.